Nokia Lumia 1020 smartphone was launched in July 2013. The phone comes with a 4.50-inch touchscreen display with a resolution of 768x1280 pixels at a pixel density of 334 pixels per inch (ppi). Nokia Lumia 1020 is powered by a 1.5GHz dual-core processor. It comes with 2GB of RAM. The Nokia Lumia 1020 runs Windows Phone 8 and is powered by a 2,000mAh non-removable battery. 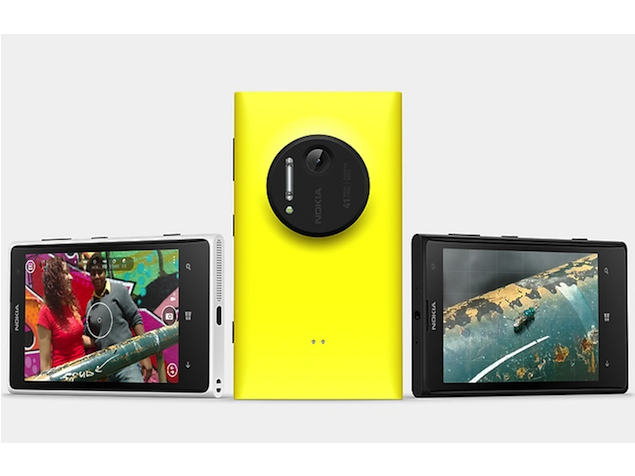 As far as the cameras are concerned, the Nokia Lumia 1020 on the rear packs 41-megapixel camera. It sports a 1.2-megapixel camera on the front for selfies. Nokia Lumia 1020 based on Windows Phone 8 and packs 32GB of inbuilt storage. The Nokia Lumia 1020 is a single SIM (GSM) smartphone that accepts a Micro-SIM card. Connectivity options on the Nokia Lumia 1020 include Wi-Fi 802.11 a/b/g/n, GPS, Bluetooth v3.00, NFC, FM radio, 3G, and 4G. Sensors on the phone include accelerometer, ambient light sensor, gyroscope, proximity sensor, and compass/ magnetometer. The Nokia Lumia 1020 measures 130.40 x 71.40 x 10.40mm (height x width x thickness) and weighs 158.00 grams. As of 25th April 2019, Nokia Lumia 1020 price in India starts at Rs. 10,990. It is a bit slow, but the pure image quality from the ~40Mpix sensor is superior. Much better than any other cameraphone, including modern smartphones. And this thing is so old! Where is the development? Only premium compact cameras are better, and DSLRs of course. It all goes back to 2012 when the pureview 808 was launched...the fact that it ran on the so called outdated symbian platform that piece didnt take up well...but the 1020 is an amazing combo of the 41 mps. of the 808 and the benchmark low light photography and the OIS of the predecessor 920...seems like nokia's endeavour is showing fruit now;)...anyways...the device is an excellent masterpiece of hardware and optics. #has six carl zeiss lenses for the perfect photography unlike the five of 808. #The sensor format is 1/1.5” and it is up to five times larger than typical smartphone sensors.which means par excellent results in capturing the detail. #The BSI sensor is quite handy when it comes to the matter of low light photography...and comparisons show that 920 and 1020 are best for the same than iphone 5s,htc one and xperia z. #Interestingly when you capture using 5 mp resolution,the original 34 or the 38 mp image is also saved by default so that you can see the full pic anytime! #A powerful xenon flash to freeze the moments...and there are various options too where you can customize the working of video light with flash for focus. #Needless to say about the lossless zoom [upto 3.6x in 5mp stills and upto 6x for 720p video!] #All these daunting specs in a 10.7 mm sleek device...unlike the s4 zoom which is tooo bulky!! [over 15 mm] #Though it's a polycarbonate unibody it has got the most premium finish unlike samsung! --- Now after going through this people might think that why not to buy an SLR for 20 or 30k instead of spending 49k over a phone for camera!! lol...well its a matter of personal taste...i believe that moments dont tell us before they come into action...we always have a phone in our pocket...we wont prefer a camera putting beside us all time right..? ?so this is where a cell phone helps to capture special moments! Still...its not android or iOS...its a windows phone...less customization and apps...so after spending 49k if you ain't gonna regret over it then surely this is your phone...!